Bristol, Conn.—Tuesday, May 26, at 12pm is the official opening for the Bristol Blues Box Office. 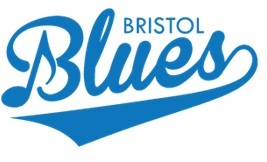 Tickets for the Bristol Blues Home Opener and all regular season games will go on sale at the Muzzy Field box office. Tickets will be $5 per ticket for general admission and $6 for reserved grand stand. The Blues season begins in Brockton, Mass, against the Brockton Rox on Thursday June 4th at 6:30pm. The following day, Friday June 5th, the first Blues season home opener will be at 6:30pm at Muzzy Field. Fans are encouraged to get to the park at 6pm for “City of Bristol” Night where Bristol Mayor Ken Cockayne, along with several other special guests, will make presentations to the crowd. Also, a presentation for Babe Ruth, the author of the first home run at Muzzy Field, will be showcased. The “Great Bambino’s” granddaughter, Linda Ruth Tosetti, will make a special appearance and throw out the ceremonial first pitch. Following the game fans will be able to enjoy fireworks celebrating the beginning of a very exciting season courtesy of the City of Bristol and Bristol Hospital. Normal box office hours will be between 10am to 5pm at the Blues Box Office at Muzzy Monday through Friday. They are also available on Saturdays that are non-game days from 9am to 3pm at the Blues Store at 99 Farmington Ave. Bristol, Conn. All credit cards, checks and cash are accepted as payment.